The possibility of a Neo variant of the Galaxy S5 has been tossed around ever since the former flagship came out last year. Since then at least a few rumors have gone by, but the device never came to be. Recently, however, the possibility of a new S5 variant has been rekindled and a new Wi-Fi certification might finally give us a glimpse of what specs to expect from the rebooted flagship. The document in questing concerns a Samsung handset with a model number of SM-G903F, which could very-well be the Galaxy S5 Neo. A reboot of last-year's design could appeal to a lot of fans, craving a more-classical Samsung look and feel, but the timing seems rather odd. What we are referring to is another piece of news from late last month, which revealed that the said phone was already up for preorder in the Czech Republic for $490 and with a shipping date listed as July 3. 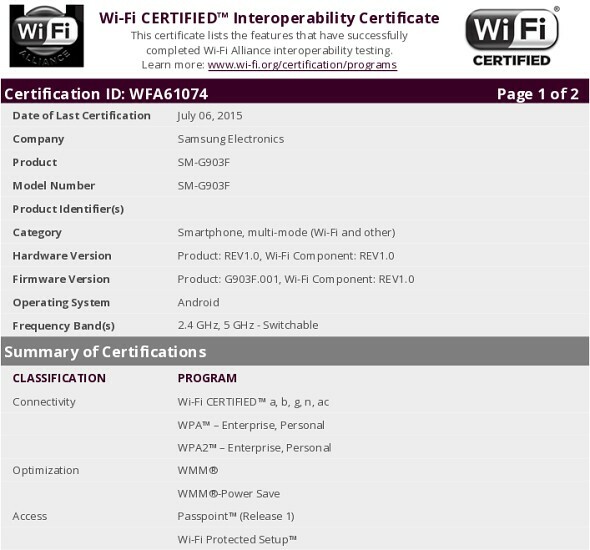 The Wi-Fi certificate itself is dated - July 6, so something is definitely amiss. Still, we could simply assume that the Czech retailer twisted the delivery timeframe a little, in which case the only problem should be a few disappointed early clients. As far as we currently know, the Galaxy S5 Neo will be powered by an Exynos 7580 SoC with 64-bit octa-core CPU clocked at 1.6GHz, and a Mali-T720 GPU. 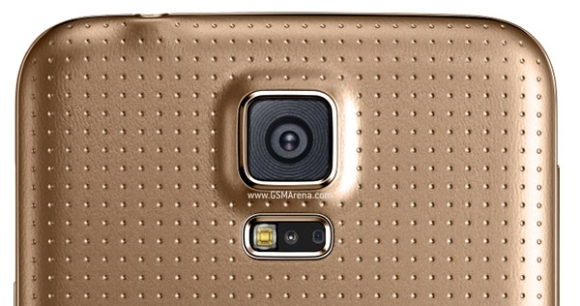 In addition, the handset will feature a 5MP front camera, just like the S6. All other specs remain the same as that of the S5 - a 5.1-inch Super AMOLED display with 1920 x 1080 pixels resolution, 2GB RAM, 16GB of internal memory, 16MP rear camera, and 2,800 mAh battery. The report also notes that the S5 Neo will come in both single-SIM and dual-SIM variants running Android 5.1 Lollipop out of the box, and will feature LTE-A connectivity.